Since Christmas 2001, both locals and visitors have been enjoying the chimes of the Town Hall, which until October 2016, were performed on 18 bells manufactured in the Karlsruhe Bell Factory. 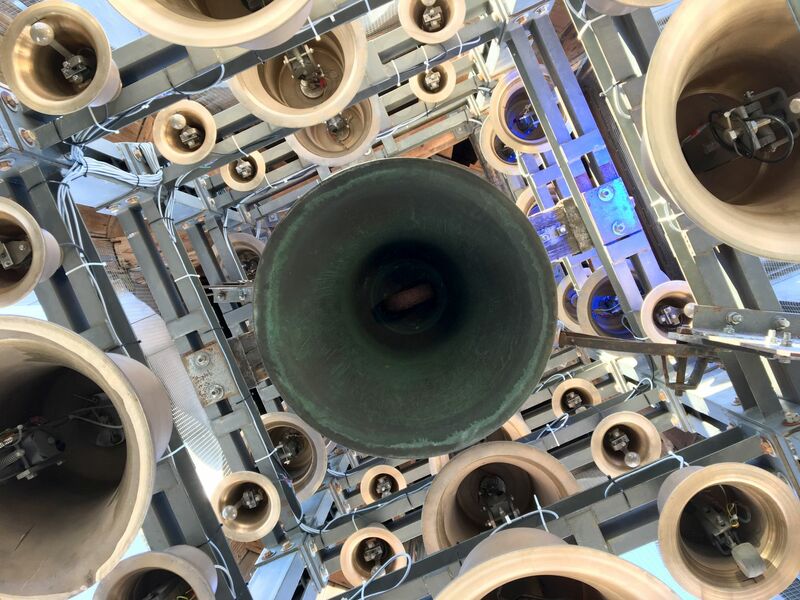 To mark the 15th anniversary of the carillon, 16 new bells were cast by one of the world’s most reputable bell-makers – the Royal Eijsbouts Belfry in the Netherlands – to complement the 18 existing bells. The smallest of the bells weighs 8 kg, the largest 96 kg. To achieve the best harmony of the bells, the 18 old bells were returned to the Karlsuhe Bell Factory for restoration. The new carillon of Tartu Town Hall was opened with a show of beautiful music, fire and dance on the 28th October 2016. With 34 bells, the carillon in Tartu is now internationally recognised as the biggest in Estonia. The new carillon makes it possible to offer more exciting musical experiences. The chimes have become one of the favourite attractions of tourists from around the world, and enhanced bell-ringing options are sure to bring more townspeople to the Town Hall Square to enjoy these beautiful sounds. 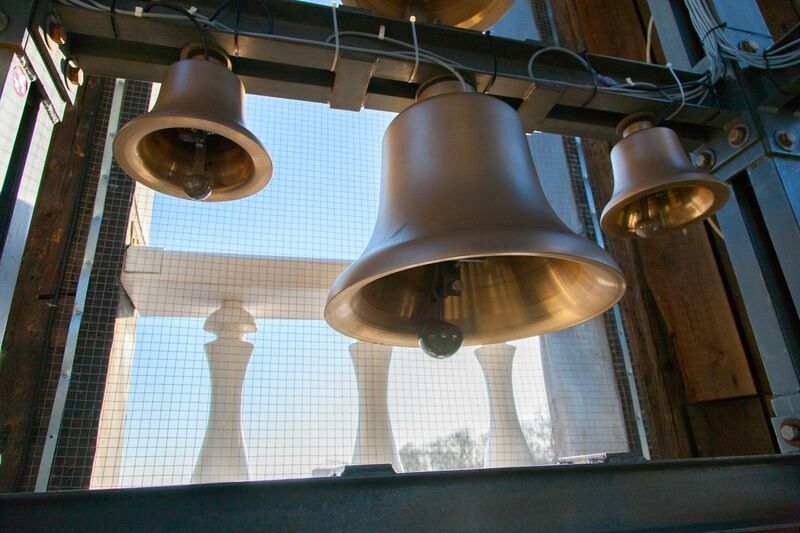 The production, delivery and installation of the 16 new bells cost €55,000 and tuning the 18 old bells required an additional €15,000. Private persons and companies donated €39,718 for the carillon during a fund-raising campaign. Tartu is grateful to everyone who contributed to the beautiful bells of the city! For further information, please contact: Carillon Project Manager, Merle Kollom, telephone: +372 521 6996. 9.01am: Ülo Vinter "Tartu kellad" / "Bells of Tartu"
15.01pm: Michail Kleofas Ogiński polonaise "Farewell to Homeland"